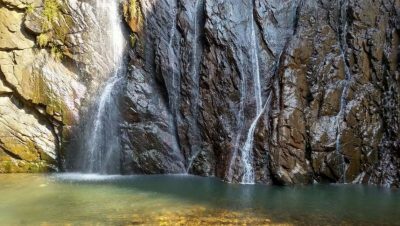 The serene environment of this waterfall within close proximity of the town at a mere distance of one kilometre remains the first attraction for the visitors to Deogarh. The waterfall itself is the biggest asset having natural panorama. Poets and nature loving celebrities from all over India come to visit this place. The Shakti Peetha of Maa Pradhani and temple of lord Champakaswar have a strong religious significance and rich cultural heritage. People enjoy religious spectacles and worship them since time immemorial. It is a real retreat to the worshippers that the waterfall is free from clamour and chaotic disturbances. The waterfall offers peaceful glimpse and serenity of water falling breeze, it is felt as a peace and pleasure zone for all categories of visitors who returned with remarkable experiences. Close to the scenic waterfall are significant historical places like like Basant Nivas and Lalit Basant, magnificent guest houses and retreats constructed by Raja Satchidananda Tribhuban Deb. Besides, Pantha Nivas of Deogarh Municipality, Forest Guest House and nursery, and well maintained Children‟s Park are also located in the vicinity of Padhanpat waterfall. People from all over Odisha come for holidaying in Deogarh. This scenic site with its natural elevation and quiet ambiance is the location of the annual Utsav Pradhanpat since 1996. Several cultural teams from all over India assuming many forms exhibit their performances and talent on the occasion of Utsav Pradhanpat. Attractive exhibition of stalls for Pallishree Mela is opened on the occasion for 5 days every year. Thousands of people gather here. Poets as well as writers from different parts attend “Kabi Sammilani” and Seminars. The alluring capability develops gradually having its rhythmic lapping of water and expressions. The fullness of monkeys and chirping of varieties of birds are naturally set up to welcome visitors. The amazing view of one cave near the waterfall is another significant beauty of nature. As a mark of tribute to its scenic beauty, the poets visit this place and spell the vicinity and solidarity leaving few words behind them. This is a beautiful place for traking to the summit. In several events treckers assemble here. 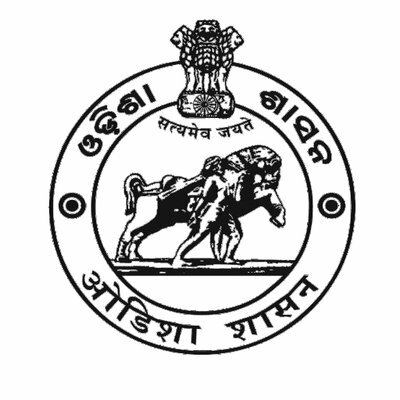 Deogarh secures a special position in the map of India for exhibition of extra ordinary achievements. There is a small temple of Maa Pradhan Pateswari inside the waterfall. There is a big lime stone adjacent to the waterfall.